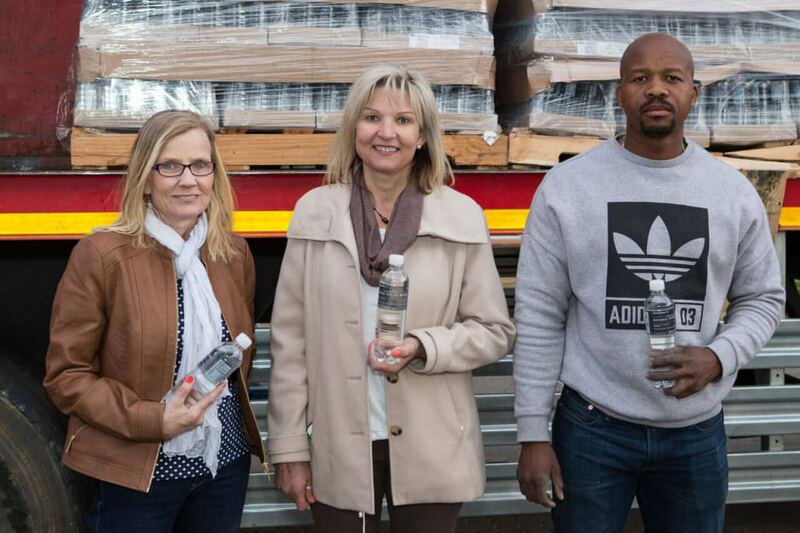 On 11 June 2016, South African Breweries Central Region delivered 31,000 litres of water to the drought-stricken Brandfort. The water was donated by Woolworths. Says Melané Venter, council member of the Masilonyana Municipality and volunteer: “Although there is some water in Brandfort, the water is not safe for consumption. Our biggest crisis lies with the schools. Some of the schools don’t have water for the learners to drink and sometimes there is no water to flush toilets. I think Brandfort is on its way to be declared a disaster area. The Erfenis Dam only functions on 14% and it is not uncommon to be without water two or three times per week. We are only allowed 40% water usage from the dam. Brandfort’s water blue drop status for water is a mere 11.40%”. Melané Venter and her sister, Elna Bredenkamp, started the water relief project beginning January 2016 when the water levels of Brandfort dam was at an incredibly low level. A post was done on Facebook to ask for assistance, and the result was overwhelming. Water is distributed to schools, old-aged homes and to the community in Brandfort. A family can receive on average 12 litres drinking water for consumption.